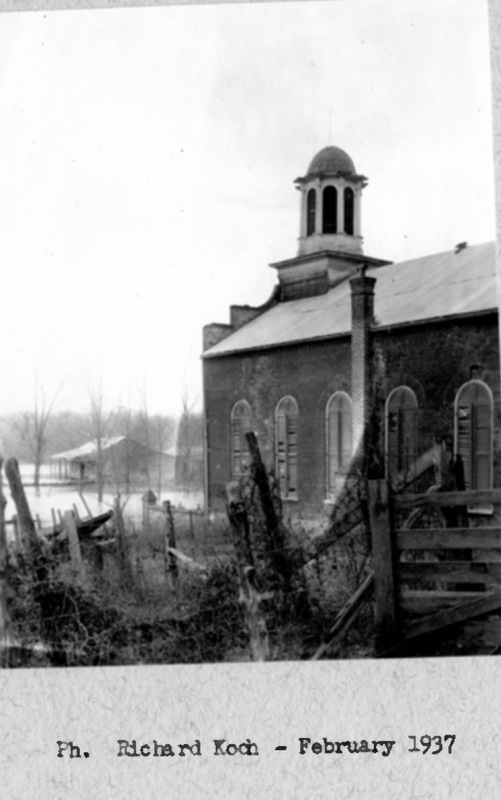 As a reminder about the recent formation of the Rodney History and Preservation Society and how you might want to join in its mission to preserve remaining structures in historic Rodney, especially the Rodney Presbyterian Church, today’s HABS post is dedicated to Rodney Presbyterian Church, which our old friend James Butters photographed in 1936. On first glance, this record on the Library of Congress website looks much like all the other HABS records, but when I clicked on the so-called Data Sheets, I was in for a surprise. There under the brief notes taken by the team of District Officer A. Hays Town, was a page-length narrative about how New Orleans architect, preservationist, and Louisiana District Officer Richard Koch, had also visited Rodney in the 1930s, possibly as a side-trip to one of his Louisiana HABS projects, and he took more detailed photos of the the Presbyterian church than the Mississippi HABS team. So here are the photos and notes of both Hays Town’s team and Richard Koch himself. Spoiler alert:: You will see in these 1930s photos that the area in the front facade now showing the famous cannonball that hit the building during shelling from the Mississippi River in the Civil War wasn’t there in the 1930s. The patched scar you see in 1936 was helpfully filled in with a cannonball when the building was restored in the 1960s to make it real authentic. 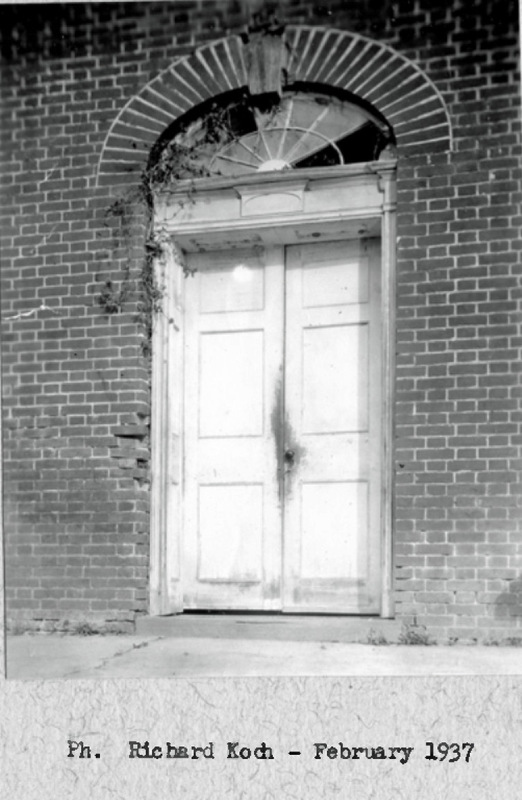 FRONT MAIN ENTRANCE (WEST ELEVATION) – Presbyterian Church, Rodney, Jefferson County, MS. James Butters, HABS Photographer Mar, 21, 1936. 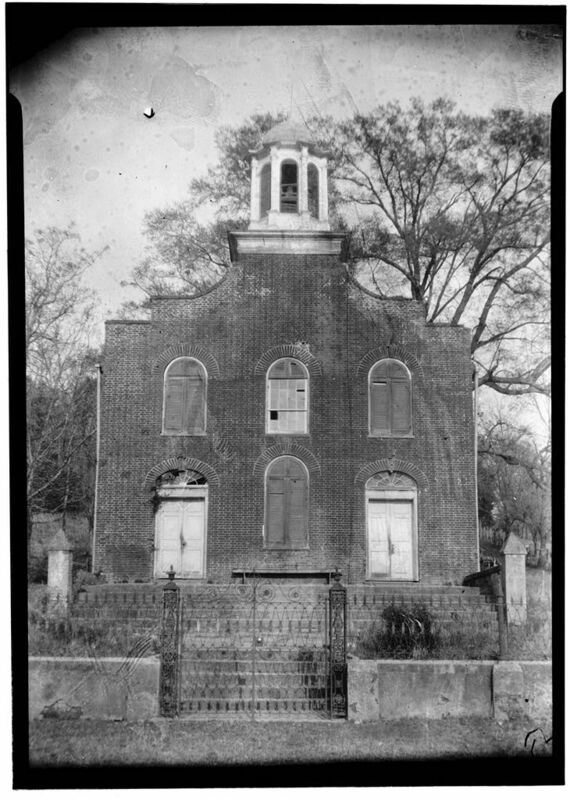 SIDE VIEW (SOUTH ELEVATION) – Presbyterian Church, Rodney, Jefferson County, MS. James Butters, Photographer. Mar, 21, 1936. Richard Koch’s photos are prefaced with a typewritten addendum that is UNDATED, *gasp* a CARDINAL SIN for historians! 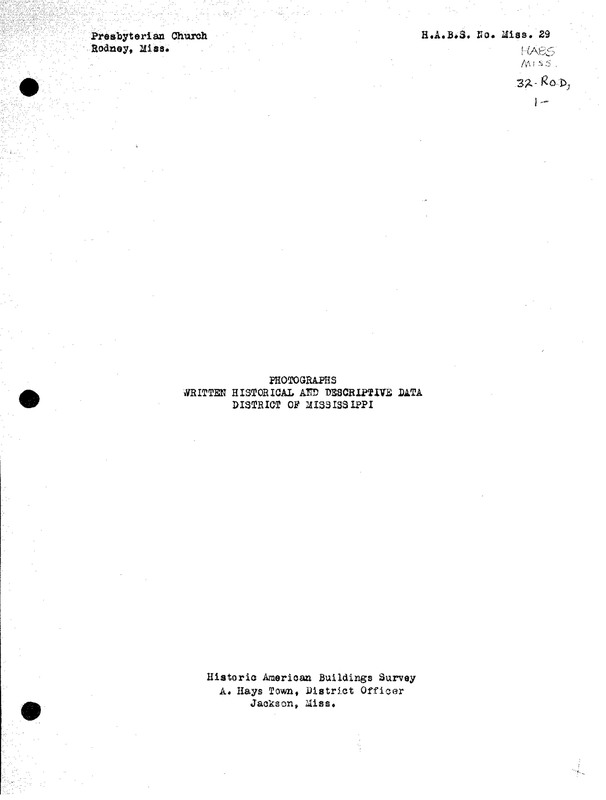 After the establishment of HABS in 1933, and its continuance under a tripartite agreement between the National Park Service, the American Institute of Architects, and the Library of Congress, the AIA nominated a member of their local chapters to lead the documentation effort in the thirty-nine districts under the HABS program umbrella. 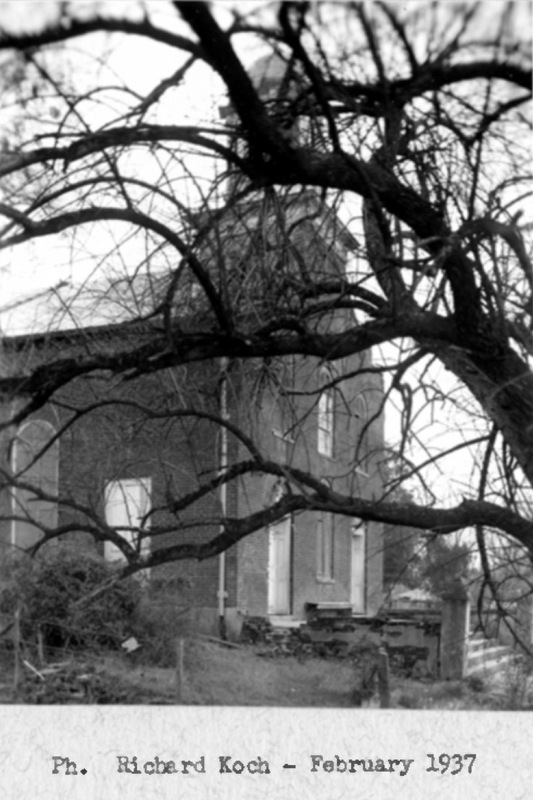 These district officers had already devoted years to recording examples of early American architecture, were active in local preservation initiatives, and typically had architectural practices dependent on a design and restoration business. Richard Koch of New Orleans, Louisiana, was one of these men. 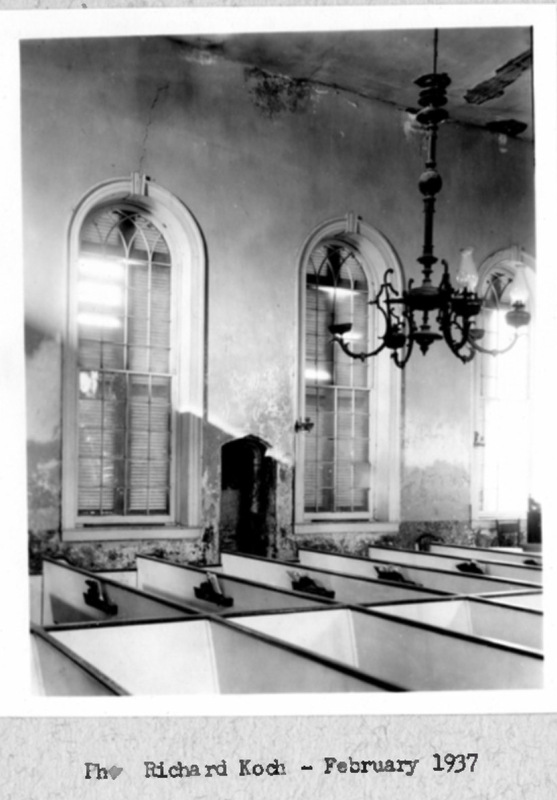 Koch was an established restoration architect and was active in New Orleans’s emerging preservation community. He was a member of the Vieux Carre Commission, an entity charged with design review of the nascent historic district beginning in 1925. 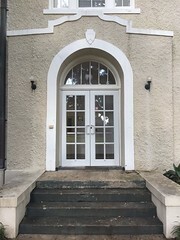 His architectural firm, Armstrong and Koch, was responsible for the renovations at the River Road plantation, Oak Alley (HABS No. LA-71), and at Shadows-on-the-Teche (HABS No. 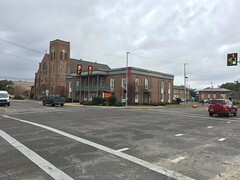 LA-75) as well as the new construction of Le Petit Theater in New Orleans’s French Quarter. The theater project was heralded as one of the first new buildings designed, sensitively, with an eye to the historic character of the neighborhood. He also collaborated with William Wiedorn and Enrique Alferez on the design for the city’s botanical garden. Coinciding with his work for HABS, Koch guided the restoration of the Gauche-Gray House (HABS No. 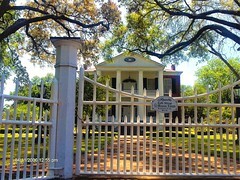 LA-125) on Esplanade; afterwards, he worked on the rehabilitation of the mansion house at Evergreen Plantation (HABS No. LA-123 6). As the district officer for Louisiana, Koch took photographs of various sites and encouraged research into local land records. The primary source material discovered in the archives was subsequently folded into the HABS record. Some of his photographs were included in a 1938 Pencil Points presentation of HABS work in the state; the Pencil Points publication came out in time for the AIA’s annual meeting in New Orleans. 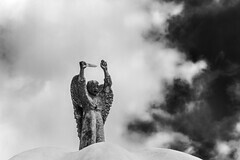 Not all of Richard Koch’s photographs made it into the formal HABS collection at the Library of Congress, however. The HABS office in Washington has file copies of several of Koch’s photographs dating from around 1936 to about 1941. Each print is mounted on a card and identified, but the negatives (and original pictures) remain elusive. Scans were made of the surviving photo mount cards and, for each site catalogued by Koch, appended hereafter. 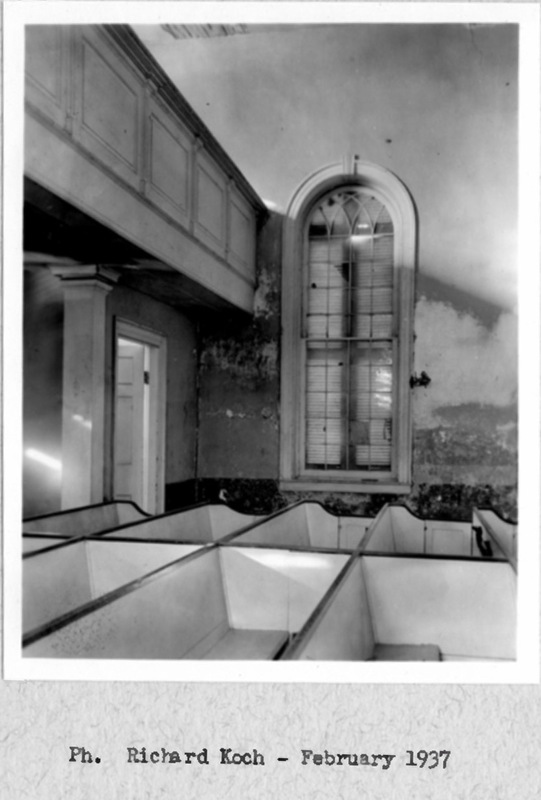 1 For more on the HABS program, see Lisa Pfueller Davidson and Martin J. Perschler, “The Historic American Buildings Survey During the New Deal Era,” CRM; The Journal of Heritage Stewardship 1, no. 1 (Fall 2003): 49-73; Catherine C. Lavoie, “Architectural Plans and Visions: The Early HABS Program and Its Documentation of Vernacular Architecture,” Perspectives in Vernacular Architecture 13, no. 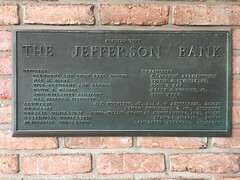 2 (2006/2007): 15-35; and Jessie Poesch and Barbara SoRelle Bacot, editors, Louisiana Buildings, 1720- 1940; The Historic American Buildings Survey (Baton Rouge: LSU Press, 1997). In the pdf available online, Koch’s mounted photos come after this addendum, and I’ve taken the liberty of “unmounting” them digitally so that you can see them at a larger size than if they were shown mounted. Let’s finish off this post by a quote from Eudora Welty, who also visited Rodney in the 1930s and wrote about her time there in Some Notes on River Country, published as a long article in Harper’s in 1944 and later as a book with her photos by University Press of Mississippi, which is the copy I have (pp. 14-15). From a great height you descend suddenly through a rush of vines, down, down, deep into complete levelness, and there in a strip at the bluff’s foot, at the road’s end, is Rodney’s Landing. Though you walk through Rodney’s Landing, it long remains a landscape, rather than a center of activity, and seems to exist altogether in the sight, like a vision. At first you think there is not even sound. The thick soft morning shadow of the bluff on the valley floor, and the rose-red color of the brick church which rises from this shadow, are its dominant notes–all else seems green. The red of the bricks defies their element; they were made of earth, but they glow as if to remind you that there is fire in earth. No one is in sight. This was a detailed and interesting addition to the Rodney information. 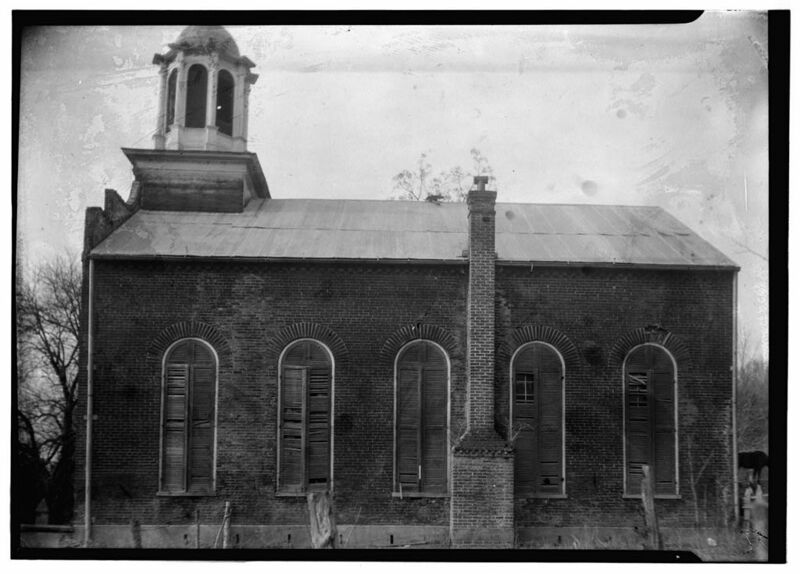 I can fixate on odd things in photographs, and in the case of the 2nd photograph, it is the part of what appears to be a cow grazing at the rear of the church. Good eye! I think you’re right! I have been to Rodney many times to visit the building across the street. A Masonic Lodge which is going to be lost to the flooding in the area. 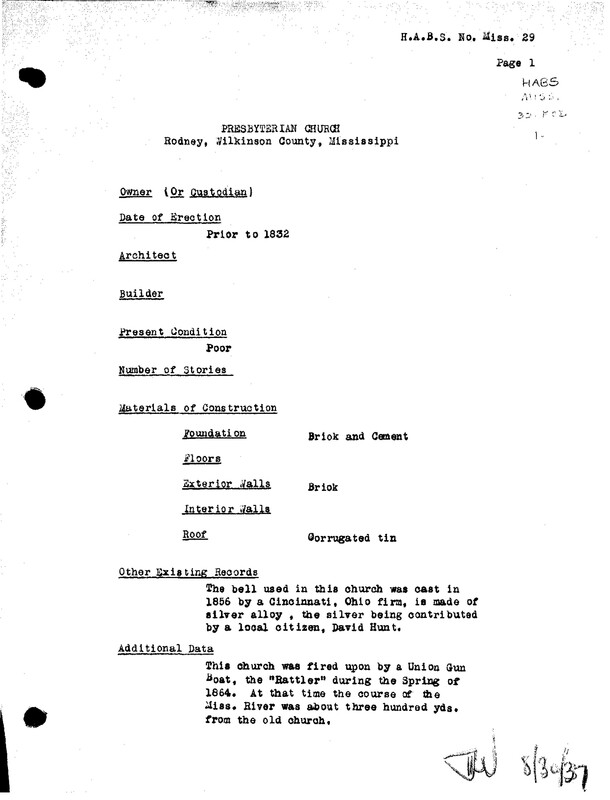 Do love Rodney-Presbyterian appreciate all the work of Mary Pallon whose grandfather was the pastor of the church. 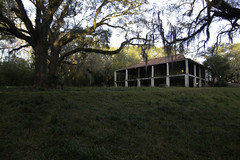 Thank you ELM for giving RPC the attention it so desperately needed just got to save historic sites!! Multum in parvo, huh? ‘much in little’– elegance, simplicity, function–and a form that would still work today for many different religious denominations. one of my favorite buildings in the state, and i hope its future is secure now. wish i had lots of money to donate to the group! 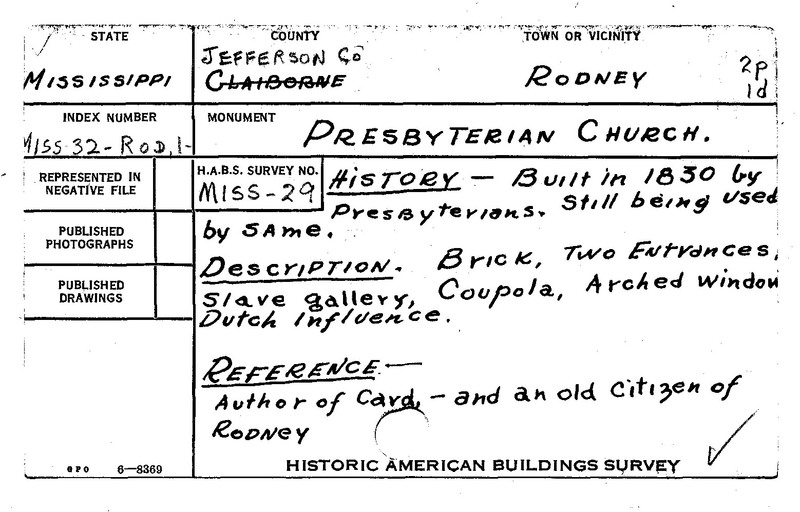 rodney was prosperous when the building was built(late 1820s/early 1830s), and there were a number of competent architects/builders in the surrounding counties(adams, jefferson, and claiborne) at the time. the form relates to structures on the east coast, certainly. so, who were the creators? i don’t think i have ever seen even the ‘vaguest’ attribution.